Heartbleed - Nope, not yo' Valentine. Go change your passwords. All of them. BUT!!! You’ll need to make sure that the site you are changing your password on has fixed a HUGE security issue called HEARTBLEED. Most all of the big players have already fixed the issue, but it’s the smaller players that may not have fixed the security issue. For those of you that use the EXACT SAME PASSWORD everywhere… QUIT IT!!!! Just STOP DOING THAT!!! PLEASE! STOP IT! Knock it off! No, nein, nyet, no. Not good. If you INSIST on making your PW easier to remember by using the same one, make a small change for each site – at least – Example: Facebook.com — mypassword = FmypasswordB! A serious “bug” has been out for almost two years that “they” just caught. 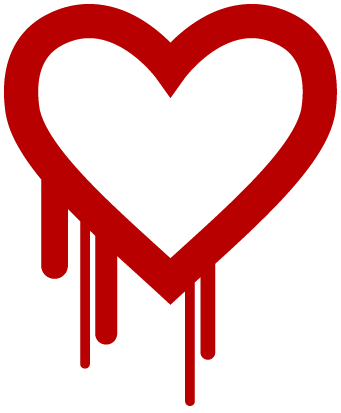 FROM HEARTBLEED.COM: The Heartbleed Bug is a serious vulnerability in the popular OpenSSL cryptographic software library. This weakness allows stealing the information protected, under normal conditions, by the SSL/TLS encryption used to secure the Internet. SSL/TLS provides communication security and privacy over the Internet for applications such as web, email, instant messaging (IM) and some virtual private networks (VPNs).